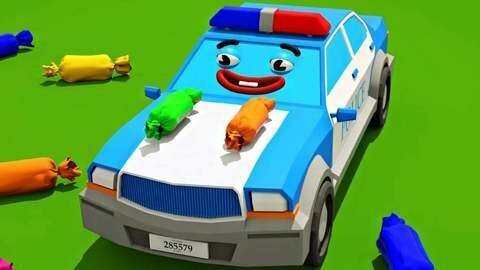 Learn numbers with the help of this Fire Truck, Dump Truck, Police Car and Excavator car cartoon about a box of yummy candies. Aside from numbers, your kids will also learn different colors from this video. While the cartoon animation plays, baby songs like Rain Rain Go Away, Finger Family and If You’re Happy And You Know It also play in the background.